Walking out of the posh Eilan Hotel in San Antonio — the same place actress Eva Longoria would be appearing later in the day — I was greeted with a question few people on the planet have ever been asked. Seeing a row of luxury cars laid out in front of me like the world’s most expensive buffet, I picked one at random and drove away in a $350,000 piece of art. I hesitate to even call it a car because this new Ghost isn’t something you buy because you need a vehicle to scoot around town. You don’t cross-shop dealerships comparing the features and prices to pick the best one, and even in the rarified air of super-high-end luxury cars, it doesn’t have a direct competitor. And if they pick the Rolls, I don’t blame them one bit. After all, this is a car that can inspire you like a great piece of artwork and is as relaxing as any vacation spot. After spending some time driving and being driven in the Ghost Series II, I understand more than ever before why people with money would buy one. 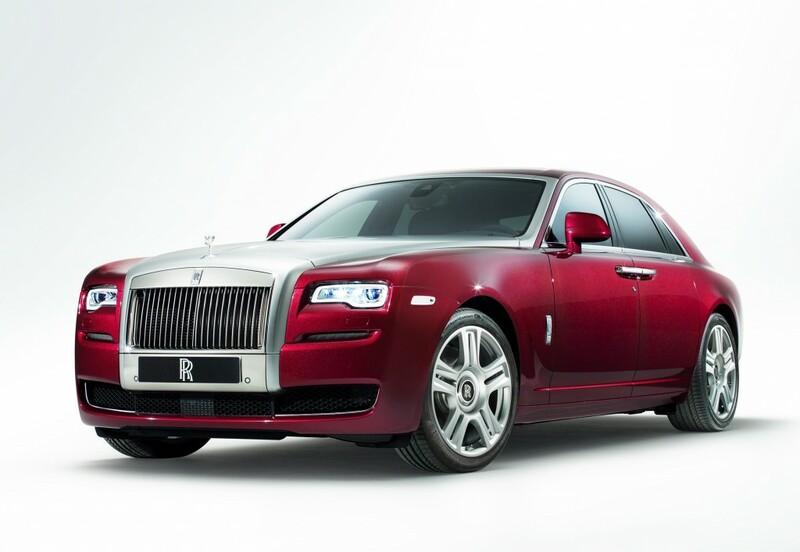 The Rolls-Royce Ghost is a hand-built luxury car that gets a subtle but important update for 2015. The new version is called the Ghost Series II. You can reach down to run your fingers through the wool floor mats, and your hand sinks down through inch after inch of cotton-candy-like fluffiness — and that’s just what you rest your feet on. It has control knobs covered in genuine crystal, and of course there’s all the custom woodwork created by some of the best craftsmen on Planet Earth. Its leather comes from young bulls raised on ranches over 6,500 feet in elevation with no barbed wire. Why? Because their hide will have no scratches, no imperfections from carrying babies and not even a mosquito bite. Mosquitoes can’t live at that altitude. Because this car is hand-built, that means you can personalize virtually everything on your new Ghost. If you’re a wealthy rancher and want to outfit the interior using wood from a tree on your ranch, for example, Rolls-Royce can send someone to cut down your tree, make wood veneer from it, and then use that material to actually build your car. It takes 60 pairs of hands 450 hours to build the Ghost. But there’s a limit to how much those hands can do. I asked a Rolls-Royce spokesperson whether that wealthy rancher could have a pickup bed installed on the back of the car, and the answer is no — but not because Rolls isn’t capable of it or doesn’t want to do it. It’s because when you change the body structure like that, the car would have to be crash tested again and re-certified by the government. So if your heart is set on driving a Rolls-Camino with a pickup bed, you’re out of luck. Because it’s built by hand by expert craftsmen, the Ghost’s cabin can be personalized using materials of the customer’s choosing — including using wood from a tree on the owner’s property. The options are nearly limitless. What’s it like to drive and be driven in a car like this? From the driver’s seat, it’s all about having an overabundance of power, a ridiculously heavy feeling body, and the smoothest, quietest ride you can imagine. Even better, I asked someone to drive me around while I sat in the back seat. You can adjust the seat to lean back like a living-room recliner and prop your feet up on a footrest, making it feel like nap time. And if you need to get some work done, you can control all the car’s electronics from the back seat and use a fold-out a table to hold your laptop or iPad while you work on your company’s next mega-merger. Walking away after driving a Rolls-Royce for the first time, the biggest impression I got was that the Ghost didn’t really feel like a car. It felt more like a piece of sculpture — something you don’t buy because you need it, but because you’re deeply inspired by it. It’s a hand-built, thoroughly personalized piece of art. It’s designed for multi-millionaires who want the best of the best.